Renshaw Baking invited me to take part in a challenge to create some spring themed cake pops and I gladly obliged. Do you like my bunch of tulips with a few Easter eggs hidden in there as well? Renshaw kindly sent me a selection of products to use for this challenge, including several colours of Colour Melts, which is their equivalent of candy melts, and some sprinkles as well as some flower modelling paste. I thought about making a selection of animals like bunnies and chicks, or a set of Easter eggs, but liked the idea of making a bunch of flowers. I associate tulips particularly with spring, so I decided to make tulips out of cake and the petals from the flower paste. I created the design and technique myself. To make cake pops, you need to start with a cake, which you can either make yourself or use a shop bought one. I used an Angel Cake from Sainsburys to save time, but also because I thought the three colours of the cake - white, yellow and pink - would work well with the cake pop design. Once you have your cake, crumble it into a large bowl. Mix with enough buttercream until you have a dough consistency. Normally for cake pops I would then roll the dough into a ball but for tulips you want more of an oval or egg shape, pointed at one end. Here are three of the Colour Melt tubs Renshaw sent - I received yellow, red, pink, white, blue and green. These are brilliant - so easy to use. Simply take the lid off the tub and, following the instructions on the side, put the tub in the microwave for 30 seconds, stir, and then microwave for another 20 seconds. When I use candy melts from another leading brand, as they come in a packet I need to pour the melted colours into a bowl, and eventually realised that I needed a fairly tall, narrow bowl so I use a mug. The tubs that these Renshaw Colour Melts come in is actually the perfect size - deep enough for you to dip your cake pops. And because you are using it in the tub, when the leftover Colour Melts have cooled, all you need to do is put the lid back on and you can use the rest another time. I began with yellow, so here is my melted Colour Melt. I sometimes add a little oil to melted candy melts from other brands to make them a bit smoother and more runny but I didn't need to with these. Dip the end of a cake pop stick into the melted Colour Melt and insert into the cake pop. Place in the fridge for half an hour. In the meantime make the petals; flower and modelling paste can be rolled very thin and it then stiffens more than fondant which is essential here as you are going to dip the petals into the Colour Melts. You can use a petal cutter if you have one, or just use a sharp knife. Cut out three petals per cake pop in an egg shape and set aside to harden. When your cake pops are ready to dip, reheat the Colour Melt and dip the cake pop in at an angle, rotate so it is fully coated and then hold over the side of the pot for the excess to drip off. Then stand in either a cake pop stand or a piece of polystyrene to set. To make the flower, take three of the flower paste petals and while the Colour Melt is still tacky, stick the petals on around the sides. It doesn't matter if they overlap slightly, in fact this looks quite good. Then bend the tops of the petals outwards slightly. Leave to set and when the petals are firmly attached to the cake pop, dip the whole thing once more in the Colour Melt. Again, allow the excess to run off and place in the polystyrene or stand to dry. Repeat with the remaining cake pops and petals in different colours. I also decided to make a few Easter eggs to go in my bouquet. I dipped this cake pop in white Colour Melt and when it had dried, I dipped it again, up to the half way mark this time, in yellow. Finally I dipped the top in Renshaw's coloured sprinkles. For this Easter egg I dipped the whole cake pop in white Colour Melt and then dipped it into a bowl of Renshaw sprinkles so it was fully covered. Finally for this Easter egg, I dipped the cake pop in white and then melted some blue and using a teaspoon rotated the cake pop while drizzling the colour over the top. Here is my finished vase of flowers- I also rolled out some leaves from the Renshaw flower paste and dipped those in the green Colour Melt. Can you tell which one is real? Yes of course you can....! The ultimate test though was when my boyfriend came home; I had made these while he was out for the evening. I said casually "do you like my bunch of flowers?" and he glanced over and said "oh yes, nice" - then did a double take and said "hang on, those are cake!". He was quite impressed and said they tasted very good as well as looking good! I'm sending these to Renshaw Baking's spring cake pop challenge. 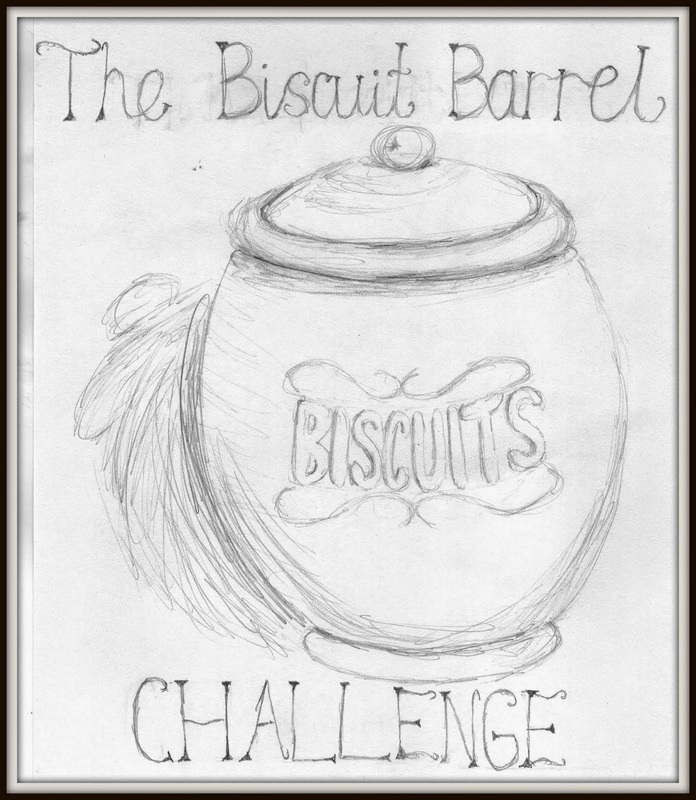 I am also sending this to the Biscuit Barrel Challenge hosted by Laura at I'd Much Rather Bake Than... The entries don't have to be biscuits, but this month they do have to be fun! I am also sending this to Love Cake, hosted by Jibber Jabber UK, as the theme is springing into Easter. 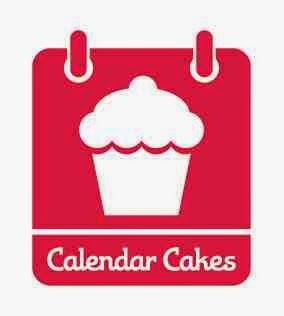 The theme for Calendar Cakes,. hosted by Rachel at Dollybakes, is also Easter. Are these are Percy for the Biscuit Barrel challenge =) and look so good too. I wouldn't have thought of making flowers like that but you have made it sound easy! I've never seen cake pops shaped in such a nice way. These would be fantastic as gift wrapped in some tissue paper or cellophane. Thanks again for linking up with this month's Love Cake.